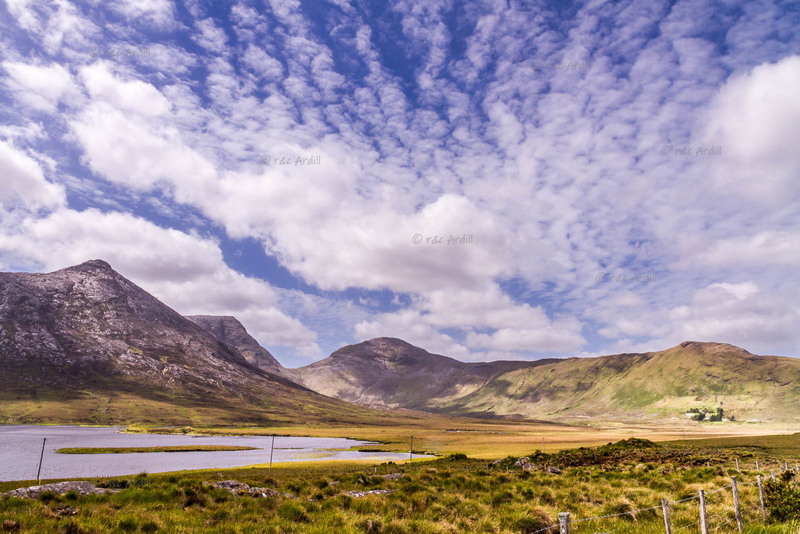 Photo of: West of Ireland: Galway: Connemara: Lough Inagh. A view of Lough Inagh with Ben Corr and Bencollaghduff peaks to the left of the image and Benbaun to the right. These are three of the peaks in the Twelve Bens mountain range, to the west of Lough Inagh. The photographs were taken on a lovely May day.